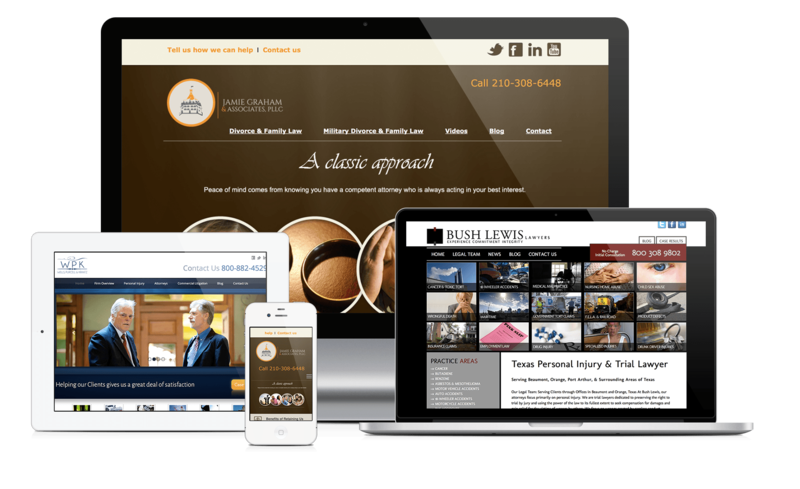 We create custom websites that address your target audience, capture attention, engage your visitors and lead them to contact your firm. IGG provides the whole package, from custom website design and development to internet marketing strategies —and everything in between. In today’s digital world, a website is at the core of every internet marketing plan. Without a website that is optimized for search engines, prospective clients won’t find you online. Instead, when they search the web for a company like yours, they’ll find your competitors’ websites. At Internet Guru Girl, we have been helping clients throughout Texas design custom websites, develop and implement effective internet marketing strategies and manage online reputations for more than a decade. When you turn to IGG, you will find a business partner who is as invested in your internet marketing success as you are. We go the extra mile to ensure your website and online marketing strategies are a perfect fit and contribute to your continued success. In a nutshell, we believe that your success is ours. Get started today. Holla (214) 415-4547 or contact us online to speak to an internet marketing specialist and get the ball rolling. Click here to see our entire portfolio and testimonials.